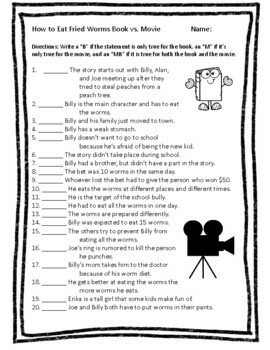 Students are given 20 statements and they have to identify which ones apply to just the movie, just the book, or to both. 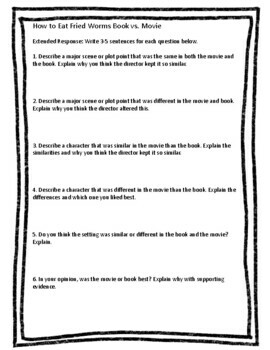 There is also a 6 extended response question assignment. 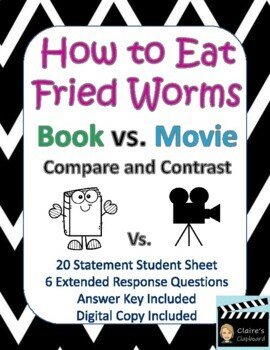 This is a great assessment tool or assignment after students read and watch the movie. 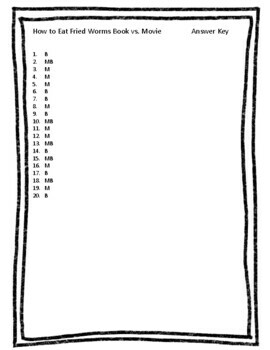 The answer key is provided.